Archaeological Museum in Goa is a lovely museum set up not too long ago. 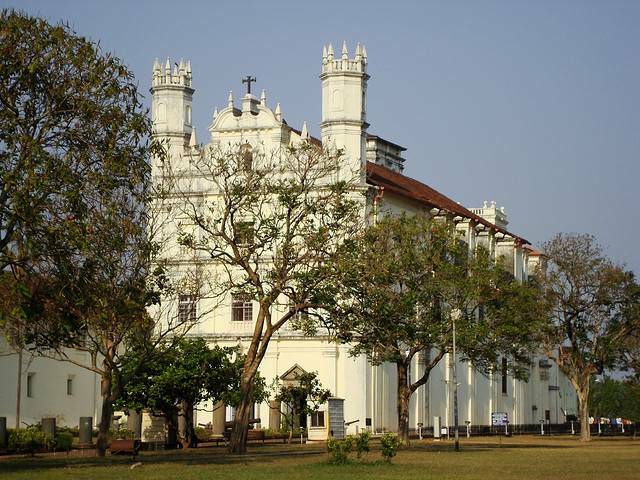 It was opened in 1964 by the Archaeological Survey of India in the Convent of St Francis of Assisi and is situated right at the heart of the Portuguese capital of Old Goa. The items presented are segregated in eight galleries. We can see Goa's Portuguese past in this museum with our own eyes besides its early history. The definition of 'early history' here is actually quite boundless. What is most intimidating are the portraits of the governors and viceroys here besides Alfonso Albuquerquy, but above all, the most amazing portrait is that of Vasco Da Gama. Archaeological Museum has sculptures of many deities besides a huge collection of old Portuguese arms. It is fascinating how children and adults, both have items that would attract them here. The Middle-East inscriptions make you wonder. How could these have found their way to this place. The answer though obvious perhaps is great fun to ponder over. The stamp collectors might go a bit crazy with all that this museum has to offer. From stones to portraits, this place is a wonderland. The museum is closed on Fridays and has a most nominal entry fee. If you want to taste Goa, you need to visit this place.